It’s officially over. 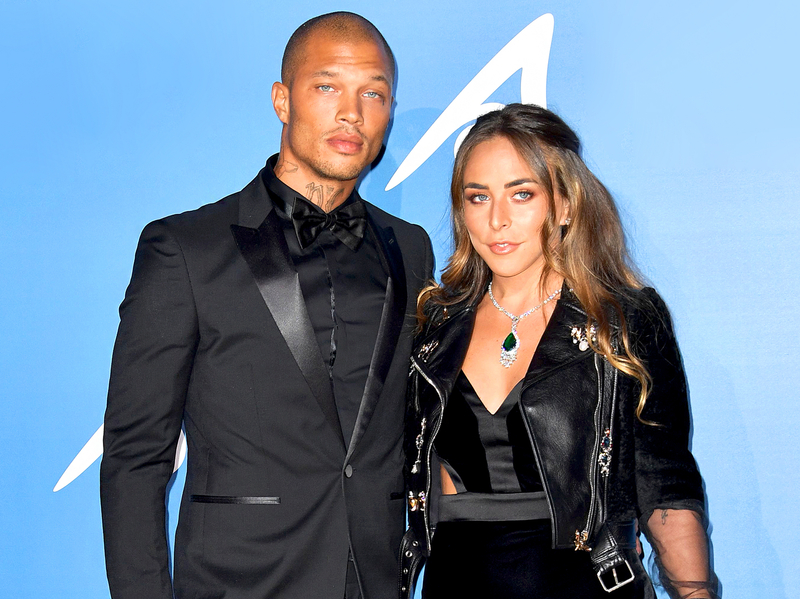 Jeremy Meeks filed for divorce from his wife Melissa Meeks, on Thursday, October 5, TMZ reports. The “hot felon” turned fashion model and his wife were married for eight years before going their separate ways, and share a son, Jeremy Jr., 7. According to the outlet, Meeks is seeking joint legal and physical custody of the child. In July, the 33-year-old was first to file for legal separation, which made all of their assets separate from that point forward. In an interview at the time, his wife claimed she would be the one filing for divorce after he was spotted kissing Topshop heiress Chloe Green in Turkey earlier that month. The mom of two, who has another son Robert, 11, from a previous relationship, said she was blindsided by the photo. “It was like a bomb had gone off and my whole world had been blown apart. I’d never heard of Chloe Green. I thought Jeremy was working,” she told the publication at the time. Meeks first rose to fame when his stunning mugshot went viral in 2014, which led to job offers and modeling gigs once he was out of jail in 2016.